The American astronaut Edgar Mitchell died on the 4th of February, 86 years old. Mitchell was the 6th man to walk on the moon in 1974 (Apollo 14). 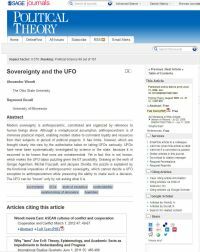 He was also well known in the UFOlogist and exopolitical circles because the many times he stated to the press that the earth had been visited by intelligent life in the universe – much on the same lines as deceased astronaut Brian O`Leary. Edgar Mitchell was also exopolitically engaged in challenging the government to publicly release UFO-files.